If you’re not sure about where to stay in Tokyo, don’t be. There are loads of good, affordable, and fun places to stay in this metropolitan area. The accommodations are so various that you won’t have to worry about not knowing where to sleep. Deciding on a place to stay should also be based on your activities and where you plan on exploring the city. So make sure that you come up with a plan first, and then follow them up. 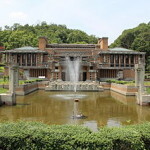 There are many places to visit but this city is known for its uniqueness; there are some things in Tokyo that you will not find in other places. For instance, have you ever tried the airport hotel where you literally stay in a cubicle to rest and sleep? If you are wondering where to stay in Tokyo, you should try some of the unique accommodations like the airport hotel or the internet café hotel – where you can spend the night after browsing and using the internet. Aside from the unique aspects, there are lots of things to love about this place. The people and their manners, for a starter, are impressive. Despite the fact that Tokyo is a crowded and busy city, people are very considerate and they don’t forget their manners. The city is very clean, although there is few trash bins, because people are used to take home their garbage inside their bags. People know where to stand in line, and they form a very straight and neat line (you’d be surprised how this has become uncommon). The fashions and the food are superb. Tokyo is basically a shopping paradise for any shopping fan. And the dollar store is known to be “unbelievably cute and adorable”. You can find loads of useful stuffs, sold only at $1 per item. The options for food is vast and various. You will definitely enjoy delicious, tasty, rich, and fresh foods everywhere you go. Even the street vendors offer loads of options at very affordable price. It is hard not to fall in love with Tokyo! As it was mentioned before, you won’t run out of options when it comes to the best accommodations in Tokyo. You don’t have to worry about where to stay in Tokyo because there is just plethora of options. If you like staying in hotels, there are some of the best choices that are hard to miss: Nikko Hotel and Prince Park Tower. If you don’t mind staying a bit away from the city, Nikko Hotel is one of the best options. 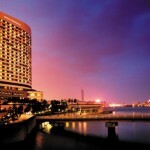 Located in Odaiba area, the hotel isn’t only strategic, but also very nice and professional. The staffs are all professionals, and yet very friendly and helpful. Not to mention that the view is just amazing. You get to enjoy Tokyo Tower, Rainbow Bridge, and Tokyo Bay at day or night. Odaiba is safe and nice for walking or jogging, so feel free to enjoy the fresh air anytime you want to. It is not located on the center of the city, so it is perfect for those who want to stay away from the hustle and bustle of the city crowd, but still have easy access to go to the city. Where to stay in Tokyo when traveling with kids isn’t something difficult to solve. The hotel is very accommodative for kids, and you can enjoy the facilities, such as free WiFi, gym, swimming pool, and so many more. The room is nice, spotless, and quite spacious – even more spacious than the standard hotel rooms in other hotels. There is an air of luxury and exclusivity. Basically, if you are staying here, you will feel like home. The lowest rate is around $128 (¥16000), so you shouldn’t be confused of where to stay in Tokyo in luxurious and affordable place. This hotel is nice and very easy to access because it is not far from the subway station. If you wonder where to stay in Tokyo, but you don’t really want to stay in a busy and crowded spot, this is the option to choose for. The lowest rate is around $123, so it is very affordable and nice. Don’t worry about where to stay in Tokyo if you want to crash in a clean and safe environment. However, be careful of extra charges. The price of the room is quite low, but they tend to charge extra for the use of facilities, such as gym and pool. It is wiser if you ask around about which service is being charged.